Knoxville Music Awards - Thank you for your nominations! Thanks to everyone who took the time to nominate their favorite local artists in this year's Knoxville Music Awards! Congratulations to Courtney Bowers of Knoxville, Tennessee for winning the two passes to Rhythm N' Blooms coming up this weekend (April 6th - 8th) in The Old City! We'll come up with some more cool prizes to give away during the voting process. 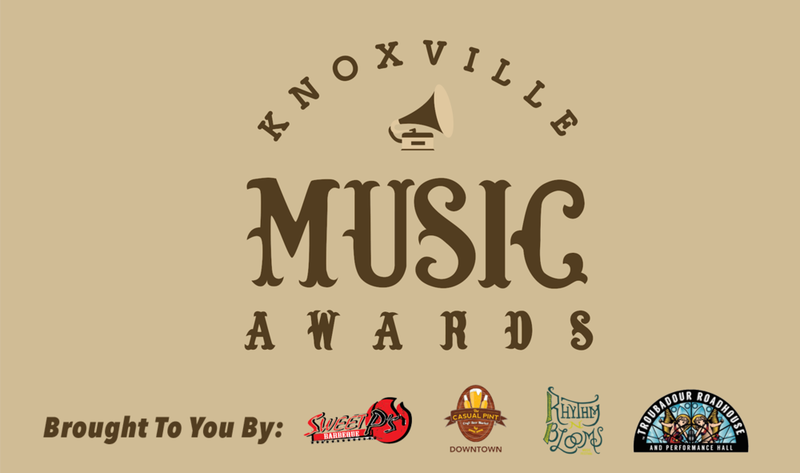 Speaking of, here is the full schedule for voting in the Knoxville Music Awards!